The bodies of missing Colorado mother Shanann Watts and her two daughters have been located inside a fuel tank days after she vanished, reports say. 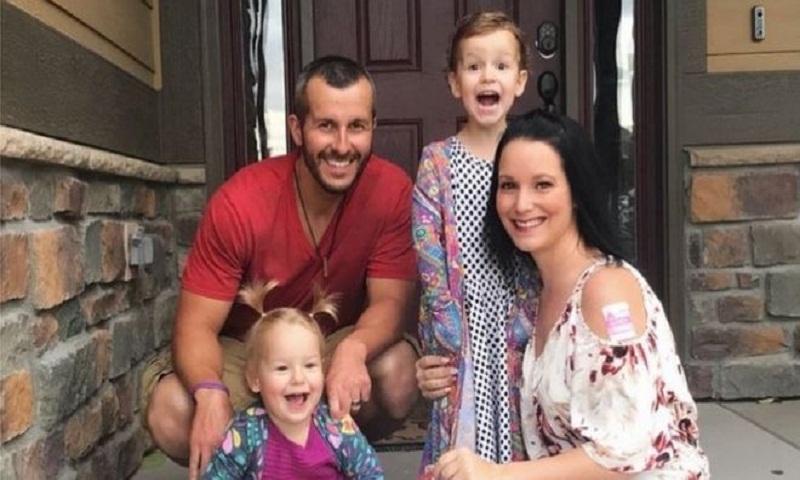 Her husband Chris Watts has been arrested on suspicion of murdering his entire family. His arrest came one day after he appealed for their return. Local media said the tanks were nearly full when Mr Watts allegedly hid their bodies there to conceal the odour. The couple had financial troubles, and she suspected her husband was cheating. In the aftermath of her death, a stunned mountain community is left wondering what could have led to the murder. Mrs Watts, 34, who was 15 weeks pregnant, and the couple's children Bella, four, and Celeste, three, went missing on Monday. He was fired from the company - Anadarko Petroleum - on Wednesday after his arrest. Police suspect all three were killed inside their home, but they have not yet released a cause of death. Mr Watts is being held on suspicion of three counts of murder and tampering with evidence, report local media. On social media, Mrs Watts had praised her spouse as an "amazing father" and "the BEST husband EVER!" In a video that she posted on Facebook on 11 June, she filmed her husband's reaction as she revealed she was pregnant with the couple's third child. "That's awesome. I guess when you want to, it happens," he said, wearing sunglasses and smiling as he held up the pregnancy test kit. On Instagram, Mrs Watts extolled him as "my amazing supportive hubby!" "He rocks and couldn't imagine life without him!" she wrote. In one video she said: "He is the best thing that ever happened to me." Family, friends and the community in Frederick, Colorado, are stunned by the tragedy. "You know, the hardest part about it all is, when you're closer to the family, is the 'why?'" Jeremy Lindstrom told local ABC affiliate Denver7. Mrs Watts' friend, Amanda Thayer, told CBS News: "It came to her [Mrs Watts'] mind that possibly he [her husband] could be cheating." She said that Mr Watts had stayed the night in the Thayer family home, sleeping across the hall from her five-year-old son, as police searched for his missing family. "That'll haunt me," her husband, Nicholas Thayer, said. Frankie Rzucek, Mrs Watts' brother, wrote on Facebook late on Wednesday night: "I just want to know why." "My blood is boiling and the pain and anger and sadness I have in my heart," he added. A bankruptcy filing from June 2015 revealed that the couple had been struggling financially. In addition to a home mortgage, they had a total of $70,000 in debt from medical, student loans and car bills. The couple earned about $90,000 in 2014, and stated they had less than $1,000 in savings. Mrs Watts had recently started working for a weight loss supplement company, which she frequently posted about on social media. The new job seemed to allow them more financial stability, and the ability to go on holiday to far-flung destinations. "All inclusive, no work, all fun vacations," she wrote recently about visits to the Dominican Republic, Mexico and San Diego.